Popular as qigong, chi kung or chi gung exercises, qigong helps align breath, movement, healing and meditation. 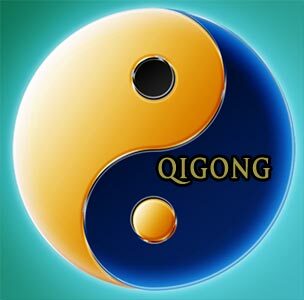 Qigong has strong roots steeped in tradition, philosophy, martial arts and Chinese medicine. This exercise is practiced to achieve a balance of the qi or chi. Qi is intrinsic vital energy or life force or energy flow in this universe. Gong means skill cultivated through steady practice. Qigong exercises involve energy training or cultivating energy. Learning qigong exercises promotes concentration and power. While qigong is considered an exercise by few, others see it as alternative medicine. Qigong practice helps guide qi through the body. Qigong helps in developing human potential, building awareness and learning more about oneself. It calms the mind and invigorates the body. As qigong integrates movement with breathing, it works as a stress buster. It has been practiced in China for thousands of years by millions of people. Numerous styles of qigong are practiced until date. Qigong practices vary from the simple, internal forms to the more intricate and challenging external styles. People belonging to all age groups can benefit from these exercises. These exercises can be practiced anywhere. Dynamic training: This type of training involves fluid movement and coordination is achieved between breath and awareness. Five animals, white crane, wild goose qigong are a few poses. For a person practicing qigong, the practice requires unity of mind, body and spirit that aims at promoting and controlling the flow of qi. Static training: This type of training involves holding postures for a certain period of time. This type of training resembles yoga. For a person practicing qigong, the practice requires a unity of mind, body and spirit that aim at promoting and controlling the flow of qi. Meditative training: Meditative training focuses on breath awareness, visualization, and philosophical concepts such as qi circulation. Use of external agents: External agents such as herbs ingestion, massage, physical manipulation, etc are used. External qi healing (Wai Qi Zhi Liao): External qi healing works by tapping into a well of healing energy in nature and funneling it through the body. External Qi healing techniques may be used as a stand alone form of wellness treatment or may be combined with other treatment forms. Healing qigong (Yi Gong): Healing Qigong is the preventive and self-healing aspect of Chinese medicine. Qigong teaches methods to control our reactions to stress so as to prevent high blood pressure, frustration or anxiety. Sports qigong (Wu Gong): In sports and martial arts, qigong is the key to strength, stamina, coordination, speed, flexibility, balance, and resistance to injury. Qigong exercises help in improving performance in any sport. Spiritual qigong (Fo Gong, Tao Gong): As a spiritual discipline, qigong leads to self-awareness, tranquility, and harmony with nature. The spiritual aspect of qigong evolved from Taoism and Buddhism. Autumn breeze: This is one of the most basic qigong exercises that facilitates back movement. Raise your arms to waist level and twist your body to your left. With your arms bent at a 45-degree angle, slowly turn from left to right and then reverse the movement from right to left. Do this for three to five minutes, concentrating on slow graceful movements. Hands over your head, keep the elbows slightly bent. Lower your hands in a circular motion. When your hands are at the waist level, bend at the waist as you lower your hands toward your feet. Continue the circle until your hands have returned to a position above your head. Do this for three to five minutes. Breathing in qigong is very important. Breath should be relaxed, slow and deep, originating from the diaphragm. This type of breathing has a very calming and balancing effect on the mind. Breathe from the belly: Always breathe from your belly and not from your chest. It improves the circulation of blood and the flow of chi in your internal organs. Belly breathing provides a wonderful massage for your internal organs. Breathe smoothly and deeply: Inhaling and exhaling has to be smooth and deep. Exhale fully: Exhaling completely will help to get rid of the carbon dioxide from the cells. Do not hold your breath: Do not hold breath between breaths. You can breathe through either your nose or mouth; however try to remain consistent with one or the other. Start by sitting in a relaxed posture. Visualize air flowing into your abdomen. Fill your lungs entirely, and pause for a moment before breathing out. Imagine your belly dropping inward as you exhale completely. Continue in this way for several minutes, until your breathing pattern begins to slow. One inhale/exhale cycle counts as a single breath. This exercise can be performed either in seated or walking positions. Inhale deeply and slowly, to a full count of five if possible. Breathe out, tightening your abdomen as you do so. At the end of your breath, squeeze your stomach muscles to the count of five. Relax, and allow the air to flow in naturally. Continue breathing easily for a few moments, and then repeat the process. Perform this exercise three to six times, before returning to your ordinary pattern of breathing. Well-being and improved health: Qigong helps in improvising the overall health. Practicing movements with controlled breathing and by connecting the mind, body, and spirit, we can gain much better health. Deep sleep: Qigong will help find deep relaxation and thus offer good quality of sleep. Calm mind: Qigong involves moving the energy we have within our bodies thus reducing stress. While practicing qigong one learns to move body and energy simultaneously, this helps to unblock areas where a block in the flow of energy is felt. Improved body warmth: Qigong improves circulation and thus the body generates more internal warmth when it is cold. Improved metabolism: Qigong improves metabolic rate. Clear skin: Qigong improves skin tone, it helps the body to eliminate toxins and thus the skin becomes clear. Spiritual effect: Practicing qigong enhances spiritual wellbeing. Improved physiological control: Qigong works on the physiological aspects of one's body and helps normalize breathing rate, heart rate, blood pressure, inflammation, etc. First Published Date: 27 Mar 2012 Last modified Date: April 18 2019 This page may have been updated recently as new information is available or the content may have been edited for better readability.